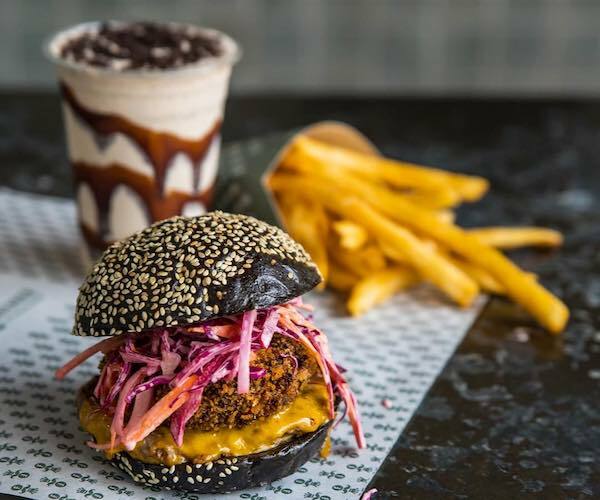 Sitting atop Caxton Street, this beery spot is all about the combination of two of our favourite things: burgers and fries. 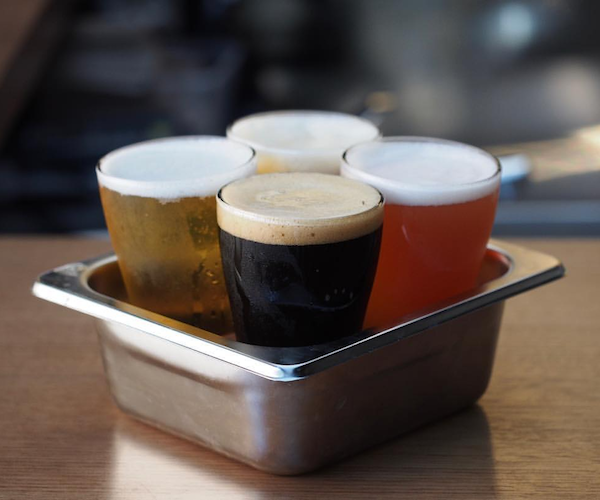 Find a stool in the airy bar and grab yourself a pint of beer or cider from the onsite micro-brewery (you can see the tanks behind the bar) to sip on while you decide which of the six burgers you’re going to opt for. The sides are where things get really interesting though. There’s no such thing as boring fries here – whether you get the loaded frites topped with cheese sauce, candied bacon, green onions and Twisties salt or a cone of regular frites, take them over to the salt station and be awed at the choices of seasoning. Vegemite salt, parmesan salt, garlic and rosemary, beetroot salt – the choices go on! 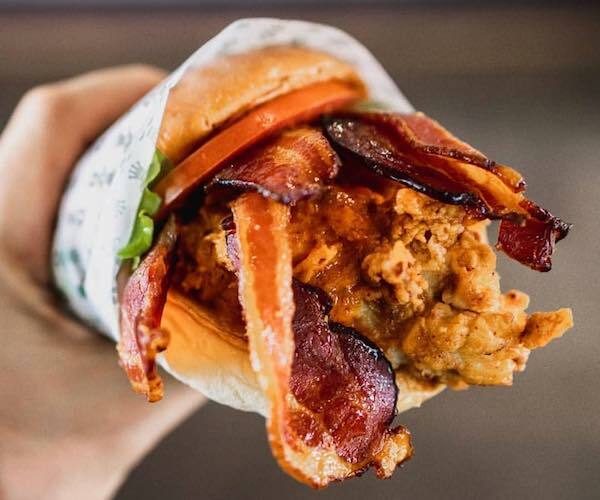 Even if you add sides of spicy chicken wings, crumbed pork bites and pickles, you’ll want to make sure you save space for a dessert burger. A sweet milk bun delicately piled with a chocolate ice cream patty, strawberries, raspberry ketchup and custard, it definitely requires two hands and a whole lot of napkins.